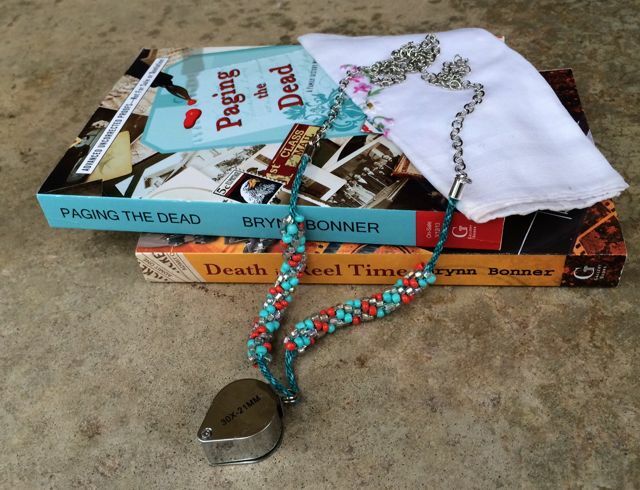 To celebrate the publication of the fourth book in my Family Mystery History series, DEAD IN A FLASH, due out on August 30, I’m giving away the the first two books in the series, PAGING THE DEAD and DEATH IN REEL TIME, along with one of my favorite genealogy tools, a 30X magnifier loupe. This one is a bit fancy. It’s a folding pendant on a handmade Kumihimo beaded cord attached to a long silver-toned chain. This way you can be fashionable as you work on identifying those old family photos. If you’d like to receive this package just leave a comment below. It’s a great feeling when you can finally hold a book you’ve labored over for long weeks, months (or years) in your hands. 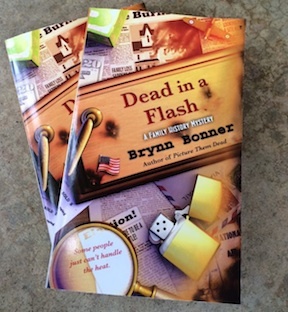 My author’s copies of DEAD IN A FLASH, the fourth in my Family History Mystery Series, came in the mail yesterday. 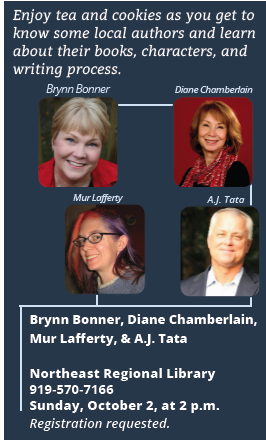 I set out writing this series because I hoped it might lead some people, who happen to love to read mysteries, to become interested in researching their own family histories. 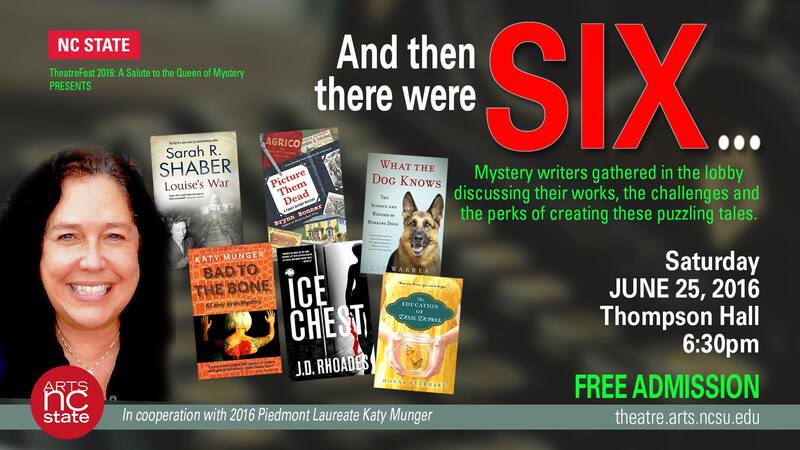 And judging by the feedback on the series I think that’s come to pass for a good number of readers. That makes me happy. 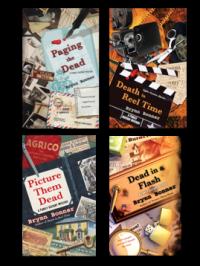 DEAD IN A FLASH will be officially released on August 30, 2016. 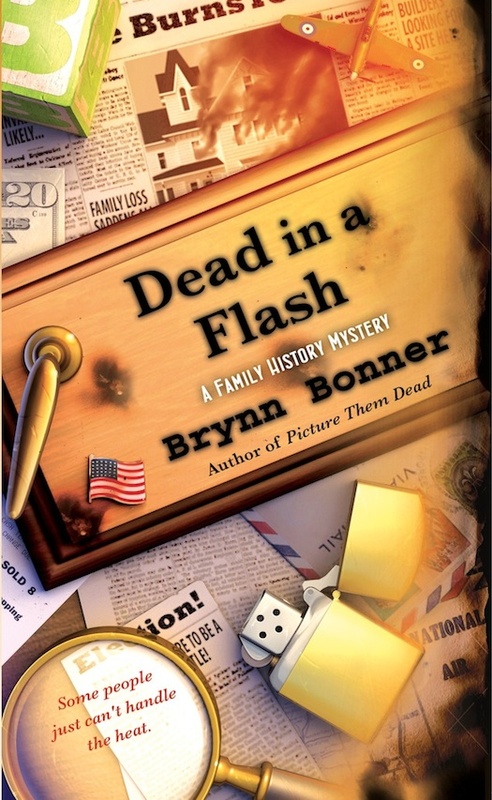 The fourth installment in my Family History Mystery series, called DEAD IN A FLASH is discounted for preorder right now over at Amazon. This one was fun to write. I got to “meet” a politician, in the form of one of my main characters, who was a good guy and a courtly, dignified man. Great that fiction allows you things you can only wish for in real life. 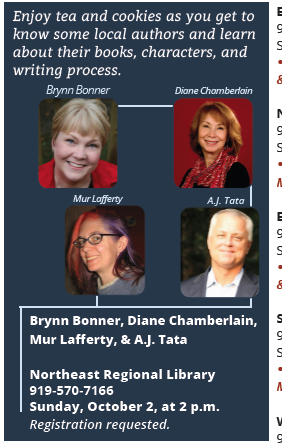 Finishing this book has given me some time to work on my own family history for a bit. It’s been a productive few weeks.